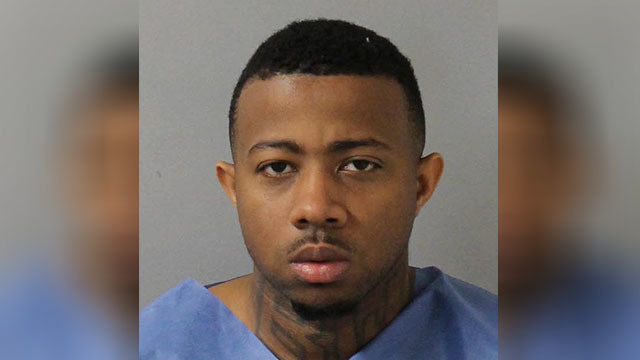 NASHVILLE, Tenn. (WKRN) — A man who broke into his ex-girlfriend's Bordeaux apartment Monday morning was shot by another man inside, authorities say. Metro police responded around 12:30 a.m. to an apartment complex on Buena Vista Pike. The woman living in the apartment called police and said Elvin Ewell, her ex-boyfriend, was outside, kicking the door and windows in an attempt to get inside. While officers were enroute, the victim stated Ewell opened the living room window, climbed into the apartment and ran upstairs, where another man was hiding. The woman remained downstairs and told officers she heard gunshots, then Ewell screamed that he had been shot. His injuries were not life-threatening, police said. Ewell, 26, was taken into custody on charges of aggravated burglary and possession of a weapon during a dangerous felony.